We all want our cats to be and stay happy and healthy. A healthy cat means a cat that cats the right amount of food fed per day so they stay in optimal shape. The Wireless Whiskers Automatic Pet Feeder is a big help in that process as it can help your cats with keeping to a strict diet by giving only access to so much food a day. An excellent tool for those that have big eaters or are not there for their cats every day. The Wireless Whiskers Automatic Pet Feeder is for cats that need to lose some weight or generally need a very close watch on how much they are getting fed. Cats are our great loving companions. Some of them do their best to get any food possible from you and will eat more than their stomachs can handle. Obesity is the result which means an unhealthy cat. Wireless Whiskers Automatic Pet Feeder will make sure that every cat gets the right amount of food at the right pace throughout the day. We’ve reviewed the microchip pet feeder from SureFeed before. What the SureFeed Automatic Pet Feeder couldn’t do, is making sure that all cats got an equal amount of food when more than one cat was being fed from the same pet feeder. This automatic pet feeder has the option to distribute food per cat according to each of their own profile. You can configure up to 8 different pets per machine. Each profile corresponds to a unique ID tag. You can set a name for the ID tag/pet and configure their food profile. Within the food profile you can set the allowed amount of grams of food per day, door control options and weight control options. The feeder is able to portion the food over the entire day. This means that after eating food for a certain amount of minutes (not grams), the feeder can close its doors and allow the pet to come back again for more food later that day. You can even set the feeder to not feed any cats at night. With the weight control option you can reduce the amount or increase the amount of food each pet can receive based upon a percentage of its total allowance set within its food profile. It is pretty easy to go in to their profile, change the weight control settings and save it, so that easy small adjustments can be made, while your cat is trying to work on their specific weight problem. The Wireless Whiskers Automatic Pet Feeder makes use of a lightweight tag that can be attached to a collar on each cat. Each ID tag is a unique number and pet configuration within the pet feeder. You can set the name for each pet within the profile, so that it is easy to change configuration for each pet – no need to remember numbers! Each cat or TagID will have its own configuration profile within the feeder. You can buy more ID Tags from Wireless Whiskers or use a different ID Tag. You can even lock a pet out if you do not want them to access that particular feeder. While you can perfectly do that for a moment, when you feel that one has had enough, you have to be careful to not lock anyone out permanently. The only reason for this functionality is that you can control which cats have access to which feeder. This would require multiple feeders in the house and is meant for multi cat environments where specific cats might need prescription diet food and while the others have a normal or different food. The device has a built in Auto Configuration option which when activated will register the pet upon first use and calculate a feeding plan based upon a 3-day evaluation. During the 3-day period, your cat will eat away and the feeder will record the time spend of each animal per day for three days to make a well-informed decision on their diet-plan. 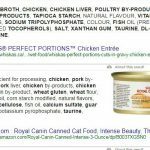 While it might sound weird to time a cat’s diet in minutes (Time) instead of grams, there is actual reason behind it too. The Wizard Auto Configuration option actually figures out in its learning mode whether a slow-eater needs more time to eat or a fast-eater needs less time to eat the allowed amount. Although the open time is based upon the time a cat spends at eating their dinner, cats are still habitual in this and are either fast or slow eaters and do not change this behaviour easily. This means that the device can just base a diet plan based upon its individual behaviour. 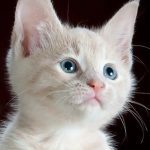 Do know that the grams or cups that we get instructed by our vets for, are based upon a calculation of the weight of your pet and that of the “standard” of your cat’s race. The standard or average cat of that race is by no means a proper example of anything, so it is just as bad a measure as the time measure – or just as good. Each cat will get the best diet plan and access plan configured based upon their eating time windows. The doors by default make some noise and do shut fast. If the fast setting is not fast enough, the device comes with a special setting to change the speed of the closing of the feeding area. The feeder comes with a Pet Guard that can be attached to the self-opening doors. The device comes with a number of alerts that are mostly based upon last-days statistics. Things such that one of your cats is not eating enough will show up as an alert, but the device can also warn you for doors to be obstructed. It even warns you when you configured doors to be configured to be open or shut permanently or when the time needs to be set (especially after a power cut this is required). The device will also warn you when the battery is low (when operating on batteries). The standard setting when the battery ends up being low (if not permanent lock is activated just before) on power is to keep the doors open, so that your cats still have access to their food when the power shuts down (either through batteries or through a power cut on a AC connected device). My cat doesn’t manage to open the doors. Feeder doesn’t seem to read the tag properly? Your cat needs to put its neck properly down to the feeder to make the feeder properly read the tag. To teach your cat this, you can put something below the feeder for now, like for example a book. That way the reader and food bowl will be at the height of your cat and it will be easier to activate the feeder. After some time you can probably remove the book and see your cat use the feeder tag reader properly. How does the machine know how much the cat has eaten? The machine does not measure weight of food, but rather dispenses food based upon the time they are eating. While this may sound like a fast eater might get more food in them then a slow eater, the machine keeps that also in mind by calculating their window-open feeding times when the machine learns and configures each pet’s feeding plan. Be sure to use the Auto Configuration Wizard to get started. Can This Feeder Operate With batteries? Yes, this feeder can operate with 4 D batteries. The functionality is quite heavy though, so the batteries might need to be replaced often. The feeder comes standard with an AC adapter. Batteries are not included. How Much Food Does It Hold? The feeder holds about 5lbs (2.3kg) dry kibble food. The feeder cannot tackle wet food. 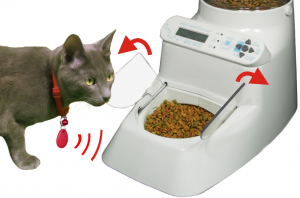 For wet food automatic feeding, look at my SureFeed microchip pet feeder review. The cat collar keeps falling off, meaning my cat doesn’t get fed! What do I do? Instead of a collar, you could also use a harness on your cat. Harnesses are essentially not in the way for them and is around their entire body, around their paws which means it will sit better stuck to them. There are also disadvantages to a harness however, such as that your cat can get stuck to things, but that is less likely harmful to them. When you place the ID Tag at the beginning of the harness, underneath the neck, the feeder will in most cases be able to read it and open the doors for your cat. Will You Ever Make RFID microchip available for your device? This is not a planned feature. I want my cat to have access to food three times a day, how do I go about? You can set the feeding times based upon how many hours the device should wait before allowing the next feeding time. You can also configure the start time of feeding and the night stop time for feeding. For a three times a day feeding, you can set the start time of feeding at 5am and stop at 11pm (5:00 – 23:00) and the hours in between feedings at 6 hours. If you mainly feed dry kibble to your cats and have problems keeping them in optimal weight, then the Automatic Pet Feeder from Wireless Whiskers is definitely your best friend. 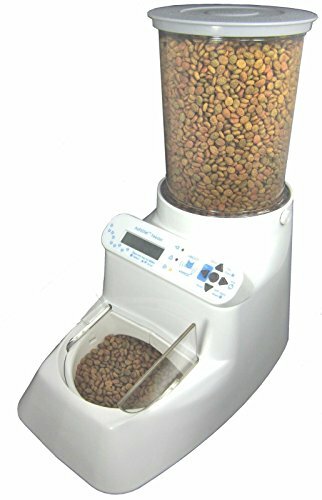 This automatic pet feeder is the best weight watcher there is as it can control the portions of feeding throughout the day as well as the total amount of food allowance per day. You can even block them from eating at night. Each pet has its own profile easily recognizable through their own pet name within the device. Cats can be locked out from certain automatic feeders, while allowed in others, to ultimately control which food is being fed to which cat. With the automatic pet feeder from Wireless Whiskers we are able to control the weight of our cats better and prevent them from getting obese. Thank for the info. Now I know which one is the perfect one for me and my cat!